European Youth Award (EYA) is a unique global contest which brings together young developers and digital entrepreneurs under 30 years of age who use the internet and mobile technology to put the UN Sustainable Development Goals (SDGs) into action and make a difference. 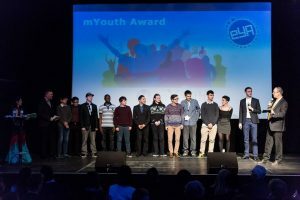 The European Youth Award (EYA) is a pan-European contest to motivate young people, social entrepreneurs and start-up founders to produce digital projects with impact on society. It demonstrates their potential to create innovative solutions with Internet and Mobile technology addressing the goals defined by the Council of Europe and Europe 2020. 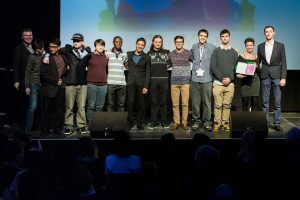 The Winners Event (EYA Festival) is a unique event combining knowledge, innovation, networking, inspiration and motivation taking place annually in Graz, Austria, which this year lasted from 30th November to 3rd December 2016. 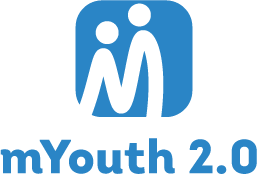 By entering mYouth’s project activities, through the Local Digital Camps and the mYouth training in Macedonia, several mobile applications for youth and education were nominated and selected as finalists for the EYA. The best of best mYouth applicants were invited at the Gala Event for the competition in Austria. The EYA dedicated its time to reward the best ideas after finalists pitched their ideas to vibrant network of people who support digital achievements for the well of humanity. The competition awards mobile apps that particularly tackle some of the SDGs, which as goals, address extreme poverty in its many dimensions: hunger, disease, lack of adequate shelter, income poverty, and exclusion, while promoting equality, education, and environmental sustainability. These are all basic human rights – the right of each person on Earth to survival, health, education, shelter and security. EYA also features world-class keynote speakers, hands-on workshops, and engaging panel discussions about social entrepreneurship and the creative content industry. This year, those who came to Europe and entered the mYouth program activities, were able to also reach the EYA competition. After participating at one of the Local Mobile App camps in Spain, Italy, Bulgaria, Macedonia, Austria or Poland and accomplishing the mYouth training in Macedonia, mobile applications which were the outcome of the above-mentioned activities were supported through the project and entered this BIG competition. As part of the special winners’ event, there was an mYouth Gala event, where the mYouth winners from the participating countries were invited on stage and the overall winner was announced. Namely, the Italian project “EgiBU” produced by Noro Ferrutch, Irene Dini, Francesco Cerra and Veronica Selvanetti was the winning mobile app. “EgiBU” is an educational app based on infographics and gamification of ancient Egyptian civilization.